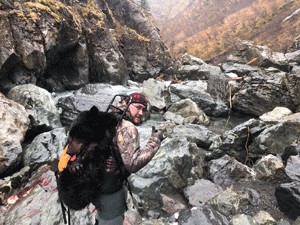 Any Alaska bear hunt can be intimidating for anyone- resident or not. Being prepared is what will set you up for the most success. 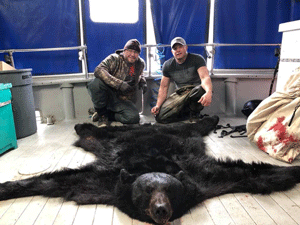 As transporters in the industry from over 25 years, we have gathered the top 8 tips for preparing yourself for the ultimate Alaska bear hunt experience. Weather in Alaska is unpredictable year round. Experiencing snow, rain, freezing winds, ice, and some sunny days during Grizzly season are going to be common for every hunter. Being prepared for weather is going to set you up for success from the beginning. Your base layer is the upmost importance when it comes to picking our your gear. We recommend wearing wool base layers- specifically Merino Wool. This will help to shield you from the harsh conditions Alaska can throw at you at any given time. Merino Wool regulates body temperature, prevents you from overheating, wicks moisture, dries quickly, and works well for both warm (releases heat if over-heated) and cold climates (retain heat for colder climate -15 to -20 degrees). In addition to retaining heat, even when wet, one of the best properties of Merino Wool is the anti-bacterial fibers that help to protect against the release of odors. 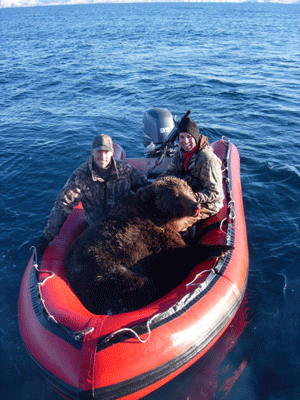 This is vital for any Alaska Bear Hunt, so you don’t alert bears near by of your presence. As we mentioned in Gear Tip #1- Alaska weather is no joke. One thing our clients have gathered while hunting in Alaska is that the weather can go from waking up to a beautiful calm day to hectic winds and plowing snow within minutes! We can’t stress enough on having the proper rain gear. There are several brands to look into, however some of our personal favorites are Gore-Tex, Kuiu, or Sitka. Aside from your wool layers, be prepared to spend on your rain gear as this can be a life saver at any given moment during your hunt. At the end of the day, when you’re packing for you Alaska bear hunt, it’s simply a matter of being comfortable, warm, and dry allowing you the ability to sit and stalk longer than having your body temperature drop due to the cold rain and shivering so badly you have to make your way in early without the proper chance to successfully hunt. Just as your base layer and rain gear are a make it or break it component, so are your boots. 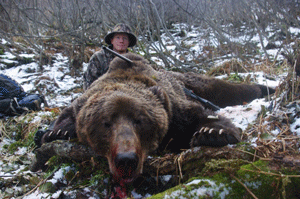 You HAVE TO HAVE proper boots for your Alaska bear hunt. Hunting grounds will be moist, cold, and slippery at times. Having a high boot that protects your ankles and adds support is crucial. Since you will be hunting in weather that is unpredictable, we recommend having a boot that is waterproof and durable for all weather conditions. Some of our favorites are leather boots with Gore Tex, Mucks, and XtraTufs. 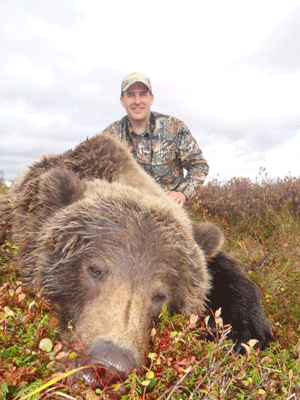 For this type of hunt, having a range finder is ideal. You want to have the ability to remain a safe distance from these predators and be able to take an adequate shot for a proper kill. We’ve seen hunters miss several shots each season due to not being able to determine the proper distance. 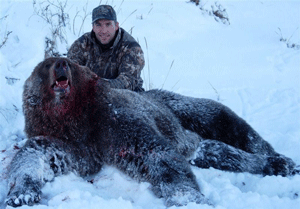 So this is key to your success when you’re on your Alaska bear hunting trip. As for recommendations, you want a range finder you are comfortable with and one that you have used to sight in your weapon. Any of the brands will work, so this will be a personal preference. As we mentioned above, being a safe distance is important for all hunters. 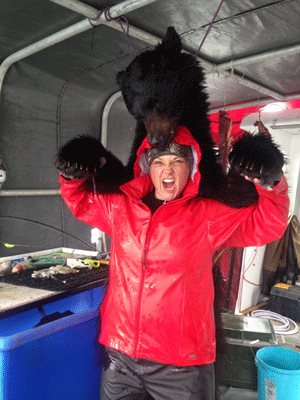 However, this is not always the case when your bear hunting in Alaska. Having a safety hand gun and or bear spray will help to keep peace of mind and allow you to remain safe in the event you are sneaked up on or walk into a territorial situation. Always being alert and aware of your surroundings is key to your safety when you’re hunting any predator, but especially for bears. We want to make sure everyone is protected and aware of their surroundings at all times. In addition we want to make sure our hunters are always safe so that we don’t encounter killing a bear that could have been avoided. 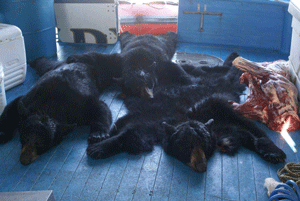 Prior to your Alaska bear hunt with us- review the bear safety information provided by ADFG. Though not necessary, having a hunting partner can be beneficial for your hunt. Not only do you have someone to cover you during your hunt, but you also have someone there for reassurance. 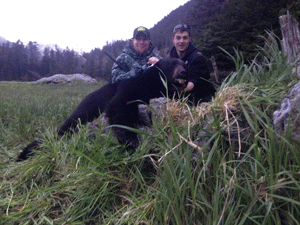 Over the years, we’ve had several single hunters, but these are avid hunters and confident in the area. For those who are unsure or maybe this is their first time, going with a partner or a guide is ideal. 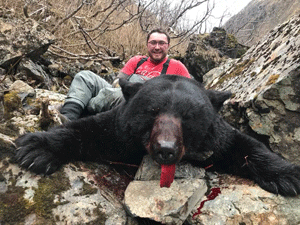 Alaska bear hunting can be dangerous if you fall into a situation you’re not prepared for. Having someone with you at all times can bring many benefits and reassurance to your hunt with us! Now that you are prepared with your gear, it’s time to get your hunt booked! In order to hunt with a transporter, you must be a resident of Alaska. If you are non-resident, no worries, you can always hunt with a guide! 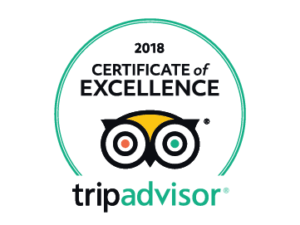 For more information feel free to contact us at any time. 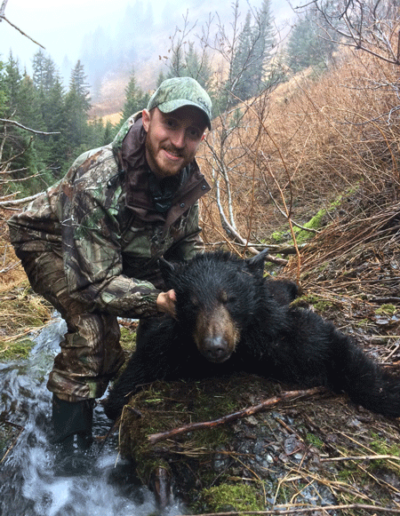 For more information on regulations, permit registration, and licensing, please visit the Alaska Department of Fish and Game. We look forward to hunting with you this upcoming season! 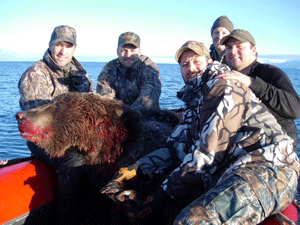 On behalf of Ninilchik Charters, we look forward to hunting with you!